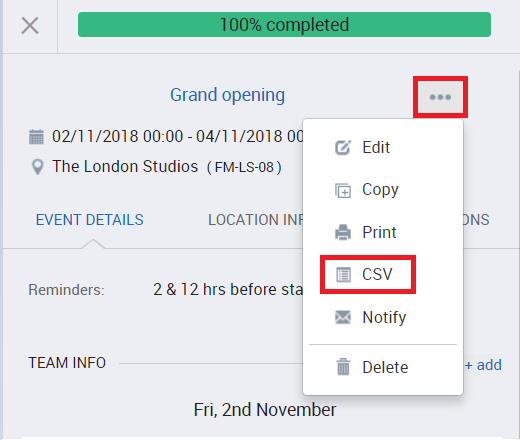 How to export CSV of team details for event? The Events page displays all upcoming and past events in either a calendar or list form. 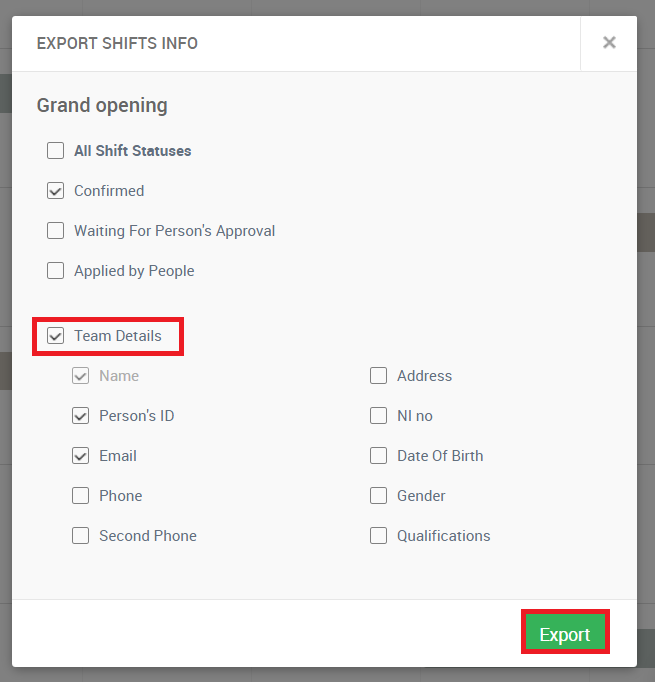 Both views display specifics about the event (what kind of and how many people are needed, who is the client etc) and also allows you to easily to export CSV of event details.